Item Number: 166-1-10V 18690 Actual Weight: 1.5 lbs. Helps keep you dry in wet weather. Individually packaged and fits neatly into your glove box or toolbox. 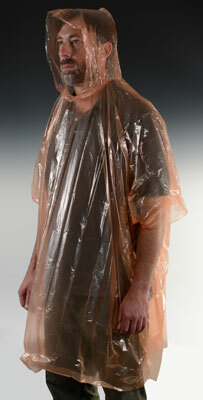 Transparent ponchos have a hood and heat sealed seams to help keep you dry.